A Personal Unsecured Loan from Investment Savings Bank may be just the lending product you need for a one-time expense of over $1,000. Consider applying for a personal unsecured loan when you have home improvements, or wish to make a desired purchase, such as a car, appliances, or even a boat. With lending flexibility up to $7,500, you can take advantage of a wide range of purchasing power. 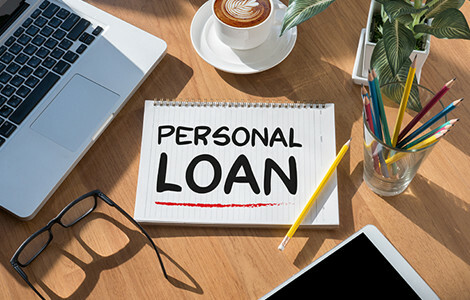 Personal [Unsecured] Loans are available to any person 18 years or older to use for personal, family, or household purposes. Use the Personal Unsecured Loan for a one-time expense, such as Home Improvements or Major Purchase (Boat, Automobile, or Appliances). It can also be used for Debt Consolidation, or Vacations. Investment Savings Bank, with offices in Altoona and Duncansville, Pennsylvania, offers borrowers personal unsecured loans. Our lending officers are service professionals, who care about the needs of our customers. They are here to help you when you need to get funding from us with a personal unsecured loan. Count on our lenders to make it happen for you. 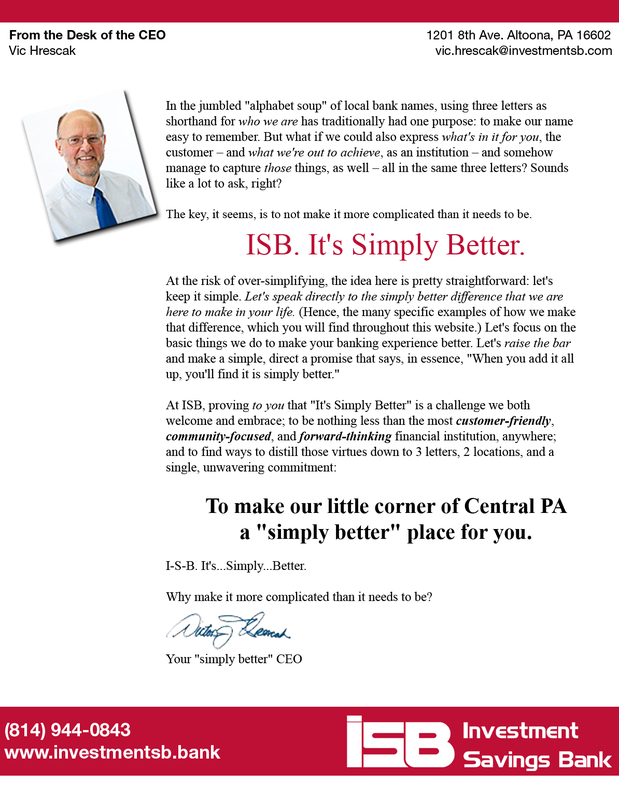 ISB has the lending power to provide customers with the lending ability you need today. Our Personal Unsecured Loan can be the opportunity you have been looking for to get a second car, fix your kitchen or bath, take a great vacation, or consolidate your monthly payments down to a more manageable size. Any way you use the personal unsecured loan, choose Investment Savings Bank as your community-lending source.